. Knit So Simple: Your Ribs are Showing . .
Last week we talked a little bit about the Basic Concept of Ribbing . . how the proper combination of Knits and Purls, when alternated in sequential order, can create a clean and distinct decrease in your knitting - - yet still allow it to stretch out and accomodate the give and take of a fitted garment, a hat band or a sleeve cuff. But did you know that you are NOT limited to K2, P2 ... or K1, P1? The options for consideration are only limited by imagination and/or viewing consideration, i.e., will the back side of the your knitting be seen as well, as in a scarf? For some, that doesn't matter, and yet for others having both sides "match" is important. 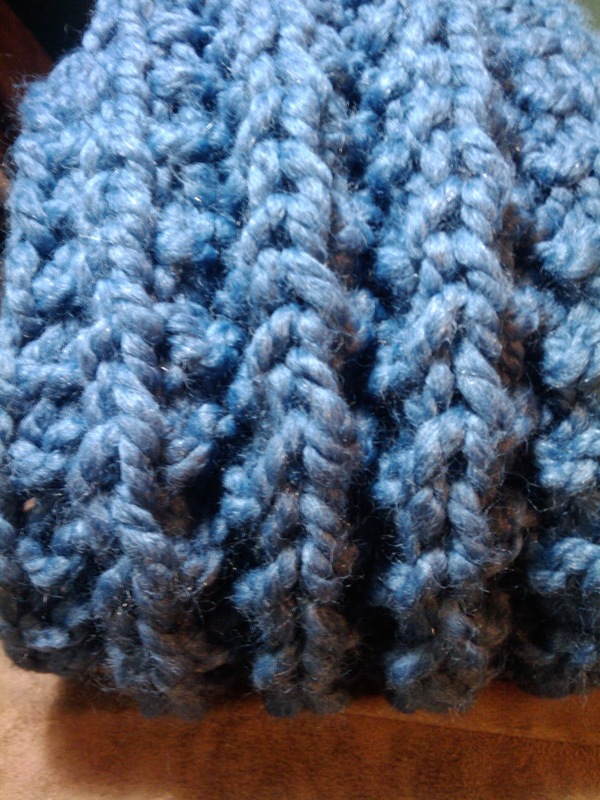 Row one: *Knit two, purl one, repeat from * to the last stitch, knit one. Row two: Purl one, *knit two, purl one* across. Worke on multiple of 7 + 3 stitches. Row 1: Purl 3, *knit 1, purl 1, knit 2, purl 3. Repeat from * across. Row 2: Knit 3, *purl 2, knit 1, purl 1, knit 3. Repeat from * across. Row 3: Purl 3, *knit 2, purl 1, knit 1, purl 3. Repeat from * across. Row 4: Knit 3, *purl 1, knit 1, purl 2, knit 3. Repeat from * across. 2nd and every following row: P1, (K1b, P1) rep to last st, P1. 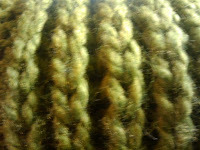 Slipped Stitch RibbingWorked on multiples of 5 + 2 stitches. 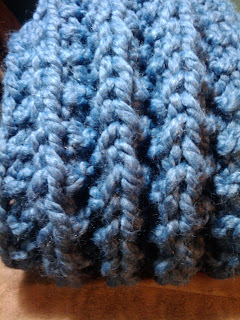 Row 1 (wrong side): Knit 2, *purl 3, knit 2. Repeat from * across. 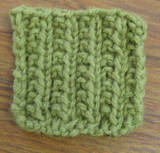 Row 2: Purl 2, *knit 1, slip 1, knit 1, purl 2. Repeat from * across. John 16:24 reminds me to "ask and you will receive, and your joy will be complete." Asking is a such a hard thing for me at times because it verbally, out loud, implies that i need help, that i don't know what i'm doing, that basically i'm not in charge. and YET, God promises that WHEN i ask, my JOY will be complete. does that mean i will actually GET what i ask for .... well, it simply states my JOY will be complete so i'm going with the promise that i will GET what He KNOWS will meet my needs! Staying connected to Him is the answer to what i need ... allowing Him to be the lead. And if i consider myself as part of the Ribbing in His knitting garment, seeing Him as Front stitches and me as the 'ribs' sticking close to Him, is much akin to being in continual prayer with Him ... always talking and not just running to Him at the last minute for a quick fix, snugged up close so that His Presence becomes my Shield .. my Fortress... my Refuge! while i certainly can't remember the last time i was thin enough that my Ribs actually stuck out, i pray that my heart will be so closely connected to Him that His Ribs are more evident that mine ... EVERY day!